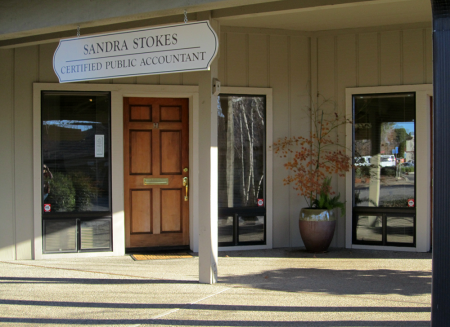 Sandra Stokes, CPA has been providing tax preparation, estate planning, accounting and bookkeeping services to individuals, small business owners, and farmers in Chico, CA and the surrounding communities since 1990. My years of advanced training and technical experience ensure the excellence of the individual assistance you receive. I believe in giving my clients close, personal attention and work hard to provide services which have been specifically customized to meet their individual needs. As a trusted advisor, my main goal is to be available to you, my client, and to provide insightful advice to assist you in making informed financial and tax decisions. I strive to help all my clients achieve success, and truly believe that my success is the result of your success. If you are looking for a CPA in Chico, CA I can be of assistance any time, please call.